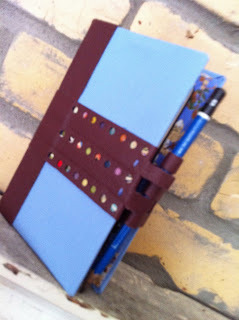 Today the Moleskine cover I made last year was featured on Notebook Stories, and that finally motivated me to figure out how to take some photos to put the other ones I've had hanging around on Etsy. I still don't have most of my stuff, or at any rate, any big white sheets of paper, so I improvised a background with the new shelf and brick wall of my condo. I hope it's neutral enough for some good shots. At any rate, they're good enough for now and I can always redo them when I get a good setup. 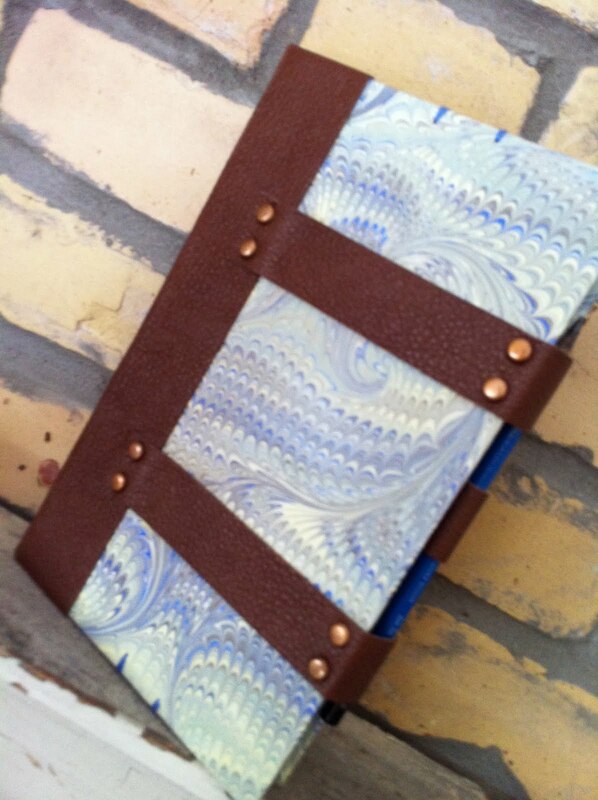 This one is marbled paper and recycled leather. Available in my shop. 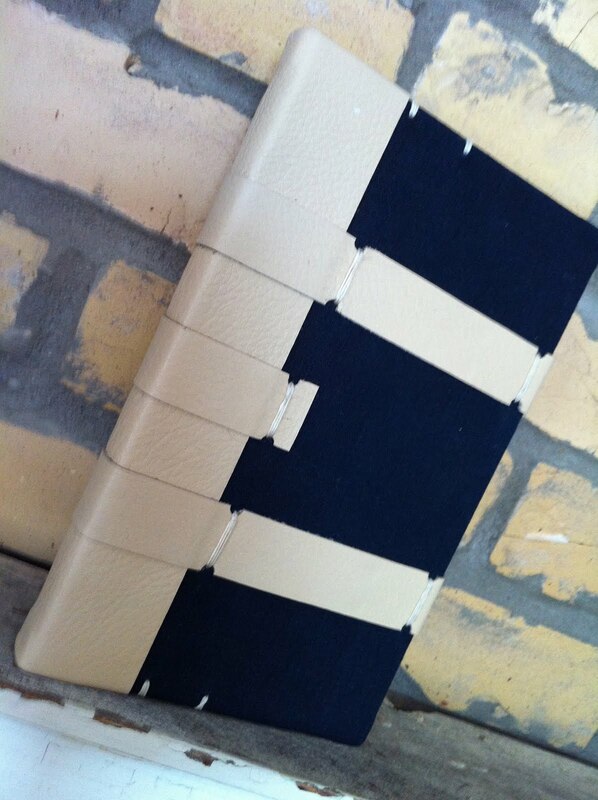 This is linen and recycled leather. I really like the contrast on this one. Available in the shop. I think this one is really lovely, and a neat way of using little bits of paper I'd normally throw away. Justification for hoarding? See it in the shop. I've actually written blog posts about all of these, if you want to check them out, but this is the first time I've had them in my Etsy shop.